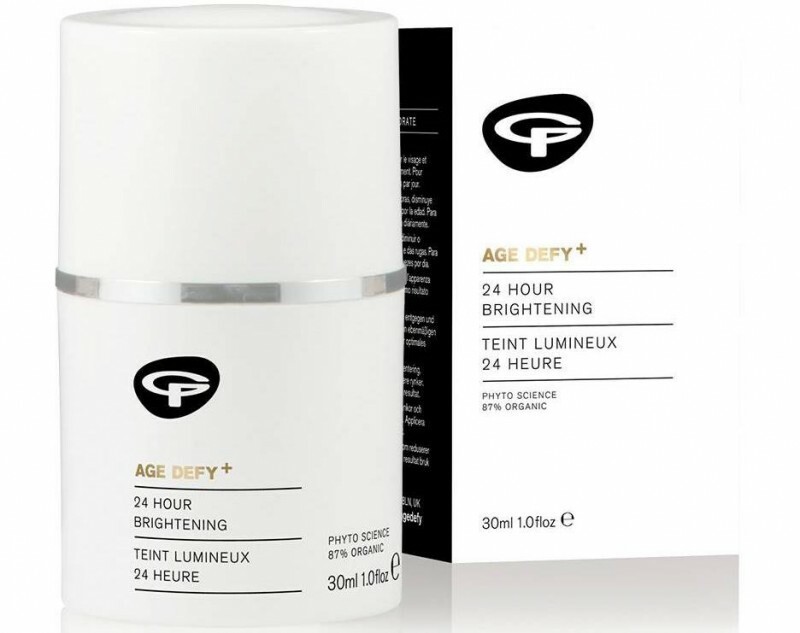 Experience a brighter, younger looking complexion with Green People's Age Defy+ 24 Hour Brightening Cream, an active-infused moisturiser that works to hydrate skin whilst reducing signs of ageing. Harnessing the powers of thirty-three youth-inspiring actives, including Pineapple, Beech Bud and Cucumber, the moisturiser delivers a veil of hydration whilst targeting pigmentation and age spots. 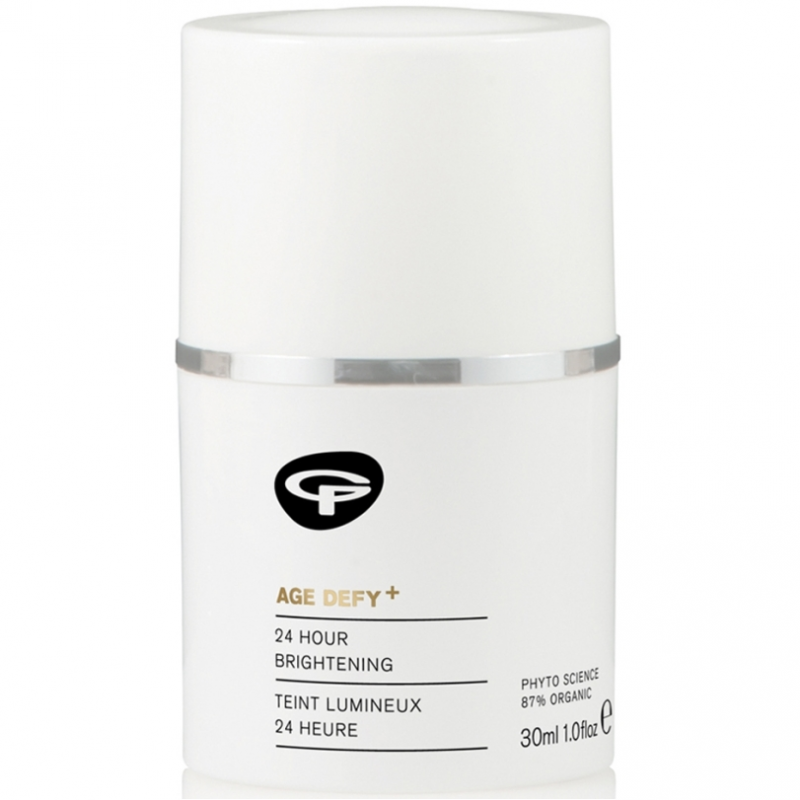 Its age-defying formula increases moisture levels and cell metabolism to reduce the look of fine lines and wrinkles whilst brightening the skin. Skin looks energised with a more even, radiant and youthful appearance. Infused with an organic aroma. Apply sparingly to thoroughly cleansed face and neck with light tapping motions. Use sunscreen or pressed mineral powder with SPF15 after application whenever your skin is exposed to daylight. 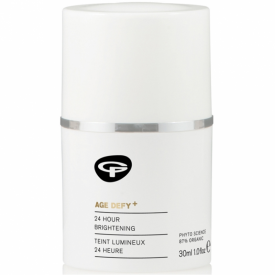 This is important because the UV rays will otherwise counteract the pigmentation reduction effect of this moisturiser. Aqua (spring water), butyrospermum parkii (shea) butter*^, helianthus annuus (sunflower) seed oil*, olea europaea (olive) fruit oil*, glycerin* (vegetable derived), squalane (from olive oil), cetyl alcohol (emulsifying plant wax), cetearyl alcohol (emulsifying plant wax), cetearyl glucoside (plant derived emulsifier), elaeis guineensis (palm) oil*^, simmondsia chinensis (jojoba) seed oil*, glyceryl stearate (plant derived emulsifier), aloe barbadensis (aloe vera) leaf juice powder*, fagus sylvatica (beech) bud extract*, oenothera biennis (evening primrose) seed oil*, rosa moschata (rosehip) seed oil*, persea gratissima (avocado) oil*, punica granatum (pomegranate) seed oil*, vaccinium macrocarpon (cranberry) seed oil*, cucumis sativus (cucumber) seed extract, morus alba (white mulberry) bark extract, hibiscus sabdariffa (hibiscus) flower extract, ananas sativus (pineapple) fruit extract, algae (seaweed) extract, rosmarinus officinalis (rosemary) leaf extract*, camellia sinensis (green tea) leaf extract*, persea gratissima (avocado) oil unsaponifiables, hydrolysed jojoba esters (from jojoba oil), sodium stearoyl glutamate (plant derived emulsifier), aroma [cymbopogon martini (palmarosa) oil*^, lavandula angustifolia (lavender) herb oil*^, pelargonium graveolens (rose geranium) oil*^, citrus nobilis (mandarin) peel oil*, melaleuca ericifolia (rosalina) leaf oil*^], citric acid, benzyl alcohol, salicylic acid, sorbic acid, citronellol*, farnesol*, geraniol*, limonene*, linalool*, citral*. *87.8% organic, ^fairly traded. Great product from an ethical company but it is not a cheap choice. This is a high quality all natural product but is not cheap. This is a product that I have seen real results with - my skin looked clear and bright. It is marketed as a moisturiser but I didn't use it this way. I used it like an exfoliating toner and left it on. E.g. cleanse, eye cream, this product, night cream. This might be enough of a moisturiser if you have oily skin. It is easy to apply and absorbs quickly. 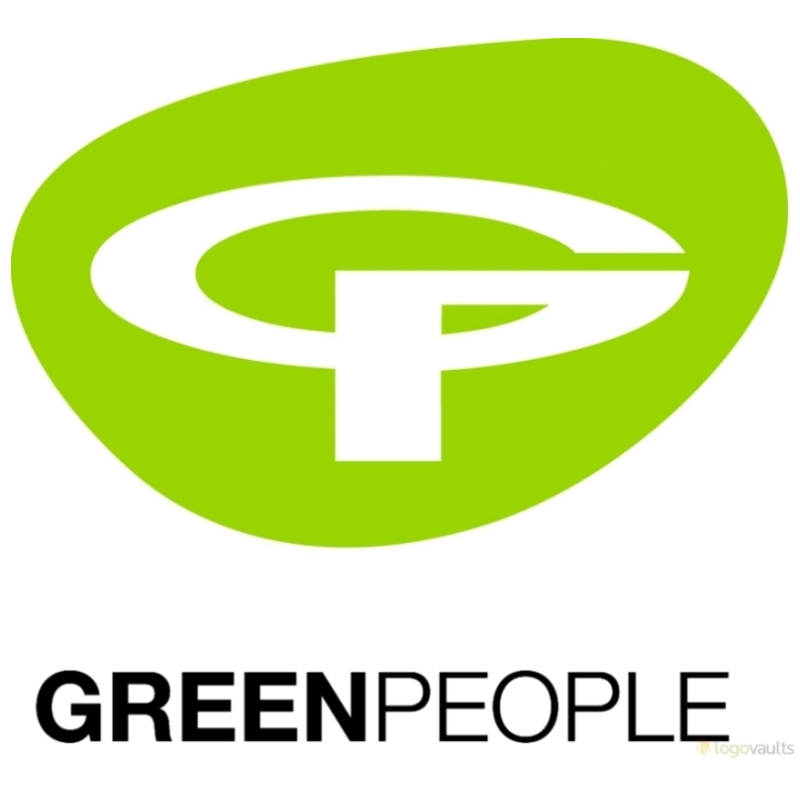 "Great product from an ethical company but it is not a cheap choice."